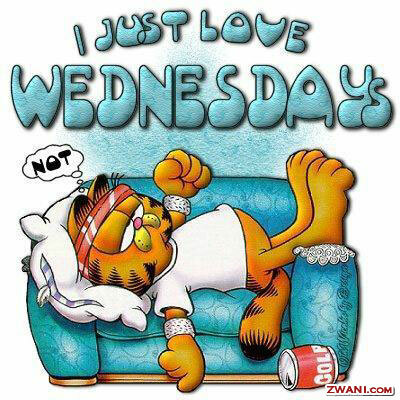 Is there such a thing as Wednesday-itis? Because I think I have it. Why can't it be Thursday already? Or better yet, Friday? OK, looks like Wednesday it is. I shall ignore the slight headache I woke up with. And the fact that I was robbed of almost an hour's sleep for no reason I can figure out (why on earth would I wake up spontaneously at 4:40am?). And my distinct lack of energy. And the scales being stubborn in spite of my best efforts. I'm focusing on the positives. Like: training is all done for the day and it was AWESOME. Also? My pants are getting looser, so nyah-nyah to the silly old scales. No fun-sucking here. Wednesday has to end eventually. Hope the hump day turns into an AWESOME one for you. Clara, Liz may have some incredible skills, but wielding a paddle from 1500km away isn't one of them.